Out of the Furnace director Scott Cooper is set to helm an upcoming fact-based film focusing on the Granite Mountain Hotshots firefighter crew in Prescott, Arizona. The brave group of elite firefighters suffered a loss of 19 men in the Yarnell Hill wildfire last June. The incident became the largest loss since 9/11 and the greatest loss of wild-land firefighters in over 80 years. Black Hawk Down scribe Ken Nolan will be writing the project with Lorenzo di Bonaventura, Mike Menchel, Dawn Ostroff and Jeremy Steckler producing. Casting details have not been announced. Here, Scott Cooper expressed his excitement about taking part in the project. "The heroic and tragic story of the men who gave their lives to protect the community of Yarnell is heartbreaking, compelling and inspiring. I look forward to telling their story with the respect, sensitivity and authenticity that these true American heroes deserve." "The nation came together to mourn the great loss of life by these heroes, but their bonds with each other makes their story so much more extraordinary and compelling. 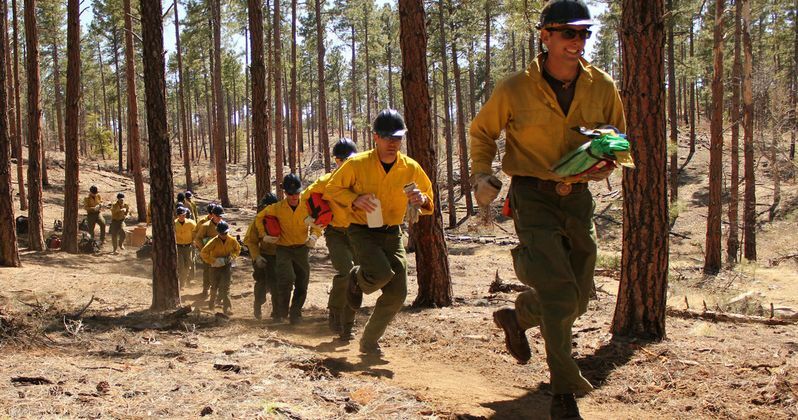 The story of the Granite Mountain Hotshots, and the tragedy that befell them, is not as much about the fire as it is about a group of blue-collar guys and their families and the brotherhood that they form with one another." The project is still in early development.